Nearly one year after meeting with the CEO of Harley-Davidson for a luncheon at the White House, President Donald Trump announced he would impose steep tariffs on all imported steel and aluminum. 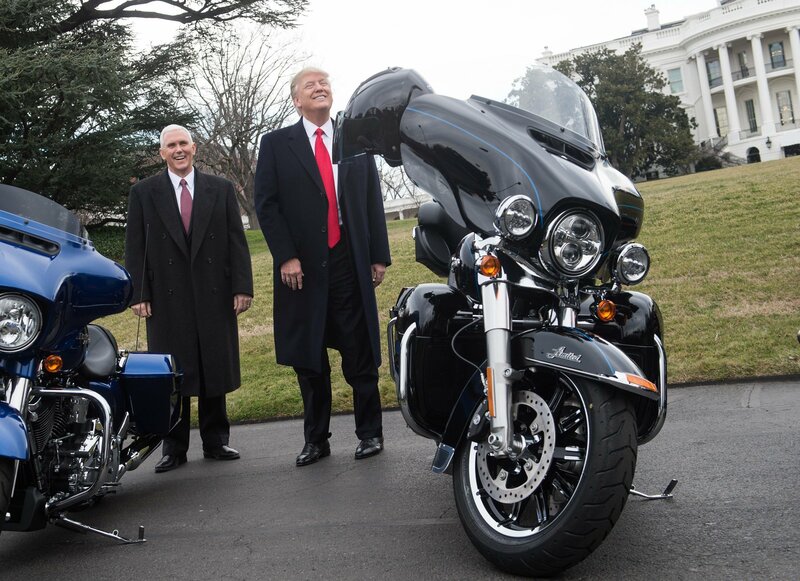 The announcement prompted talk of a trade war that could threaten the iconic American motorcycle manufacturer both domestically and internationally. On February 2, 2017, Trump treated Harley-Davidson CEO Matthew Levatich, as well as other executives and union workers, to platitudes in the White House's Roosevelt Room. Trump thanked them for the votes the company delivered in its home state of Wisconsin during the 2016 presidential election and lauded its employees as steelworkers. "So thank you, Harley-Davidson, for building things in America," Trump said. "I’m especially honored to welcome the steelworkers and the machinists to the White House. Who is a steelworker here? Well, you’re all steelworkers, essentially, right?" Trump pledged to make expanding the company within the United States easier. "We want to make it easier for businesses to create more jobs and more factories in the United States," he said. "That means we have to make America the best country on Earth to do business, and that’s what we’re in the process of doing." One year later, Trump announced his policy shift to sharply tax foreign steel and aluminum by 25 percent and 10 percent, respectively. The announcement caught lawmakers off-balance and sent the stock market tumbling. The tariffs would hurt Harley-Davidson in two ways. First, they would increase the cost of production because, as Trump noted last year, the company is largely reliant on metals. The duties would cause raw material costs to spike, regardless of whether the company buys them domestically or abroad, Harley-Davidson spokesman Michael Pflughoeft told Bloomberg in an emailed statement. 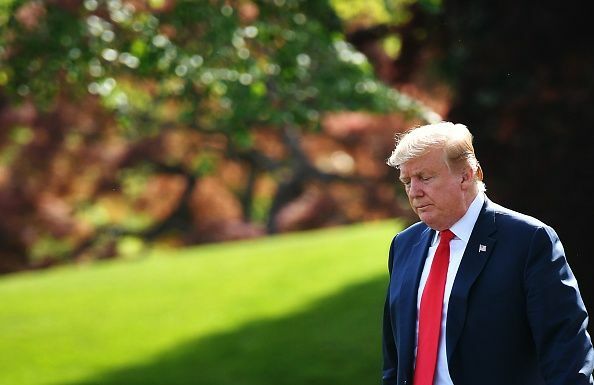 He added that potential punitive taxes as a result of the U.S.-imposed tariffs would have a "significant impact" on sales, suppliers and customers. Harley-Davidson's stock tanked after Trump's March 1 announcement. By 2 p.m. on March 2, its stock had dropped to $43.82, down about 3.4 percent from its opening price the day before. It gained most of that loss back on Monday but then tanked again on Tuesday, making Harley-Davidson one of the Standard & Poor 500's worst intraday performers, Bloomberg reported. Secondly, a trade war stands to damage international sales. Last week, European Commission President Jean-Claude Junker said if the U.S. goes through with the tariffs, the European Union would retaliate in kind, levying duties on Harley-Davidson motorcycles, bourbon and other products. Europe is Harley-Davidson's largest market outside the U.S., accounting for 16.3 percent of total sales and 41.9 percent of all international sales in 2017, according to the company's investor relations announcement in January. Tariffs imposed on the motorcycle company and bourbon would hit two top Republicans particularly hard: House Speaker Paul Ryan of Wisconsin, Harley-Davidson's home, and Senate Majority Leader Mitch McConnell of Kentucky, where the liquor is made. The pressure appears to have made an impression on Ryan.